Back to School is here! Some people are jumping for joy, others are missing their kids all day and then there are people like me that are just excited to have a theme to decorate and craft for. Ok there was a little jumping and a little missing this week when I sent the littles off. It’s not too late to whip up giant pencils for the kids to pose with. 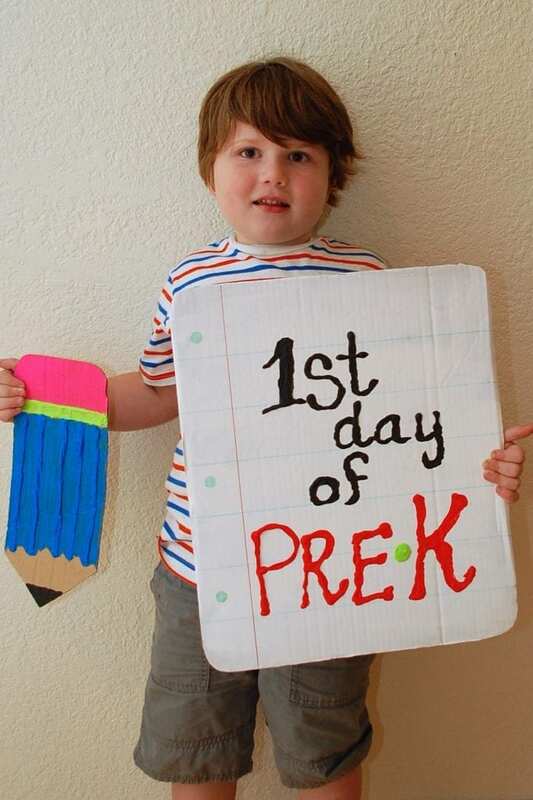 Document the first day or 17th day with one of these fun and easy Back to School Photo Props (sponsored). For kids with food allergies and their parents Back to School can be especially stressful. Please be mindful and think of those littles with life threatening food allergies (and their parents who are at home wringing their hands). 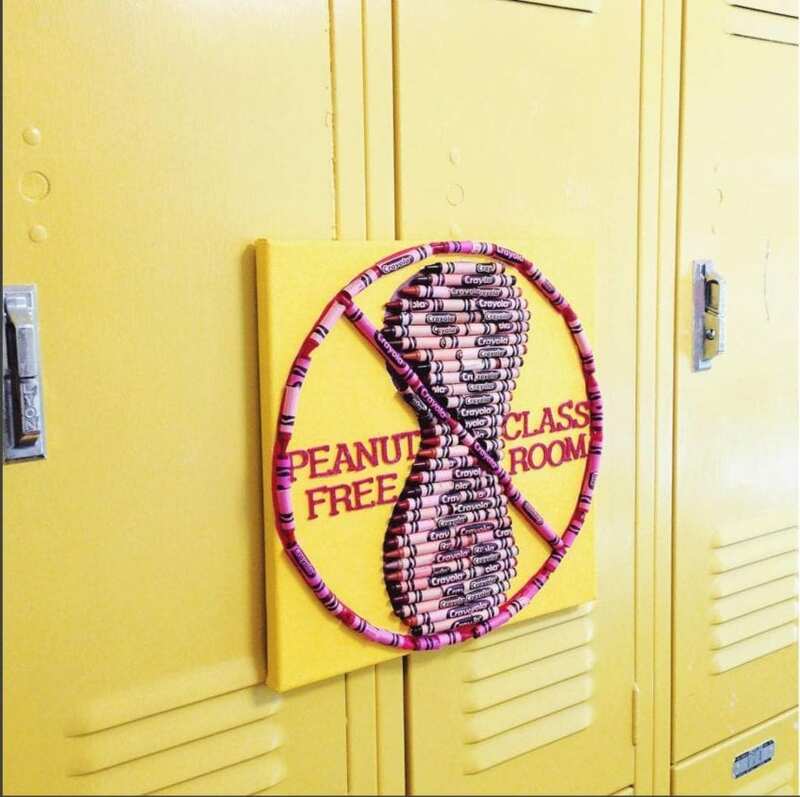 Perhaps you could make clever Peanut Free Classroom Sign (sponsored) for the door. 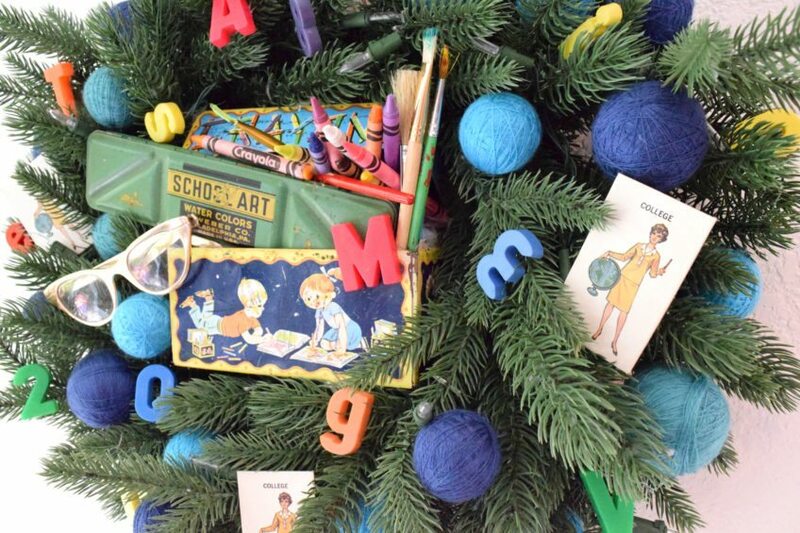 Over on the Treetopia Blog I’m sharing this adorable Back to School Wreath. 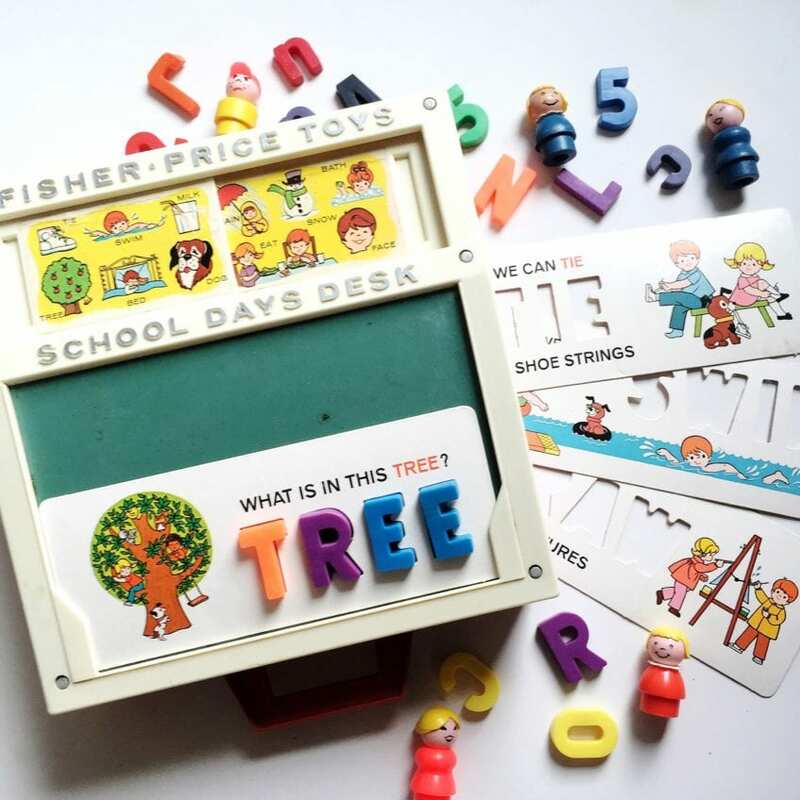 Perfect for teachers, classrooms or your front door. Perhaps you are headed back to art school? 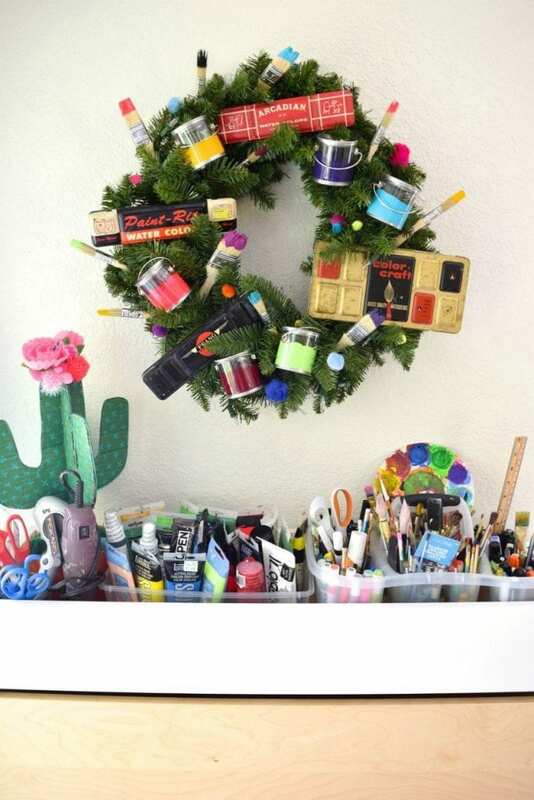 I have a fabulous wreath for that too. Back to School means so many supplies to wrangle. You need your desk looking cute or you will never get through that homework. 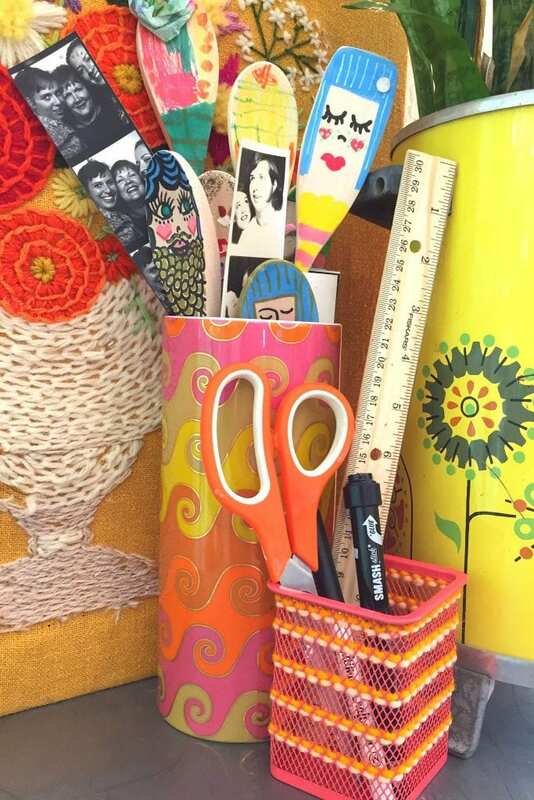 Try some Embroidered Desk Accessories. Live plants more your jam? Think outside the vase with fun plant ideas. 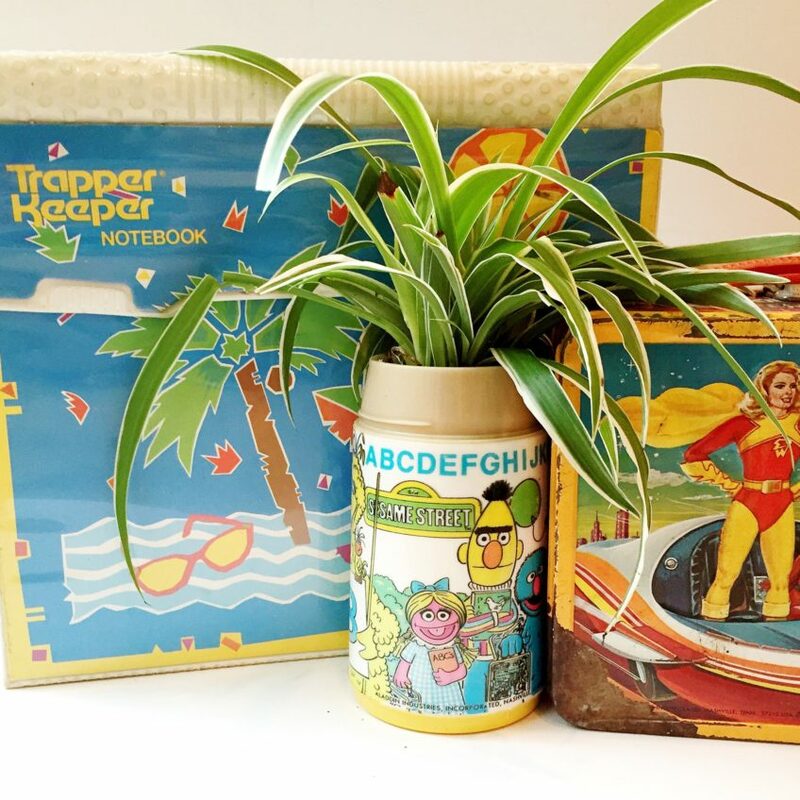 A vintage thermos makes a great planter. 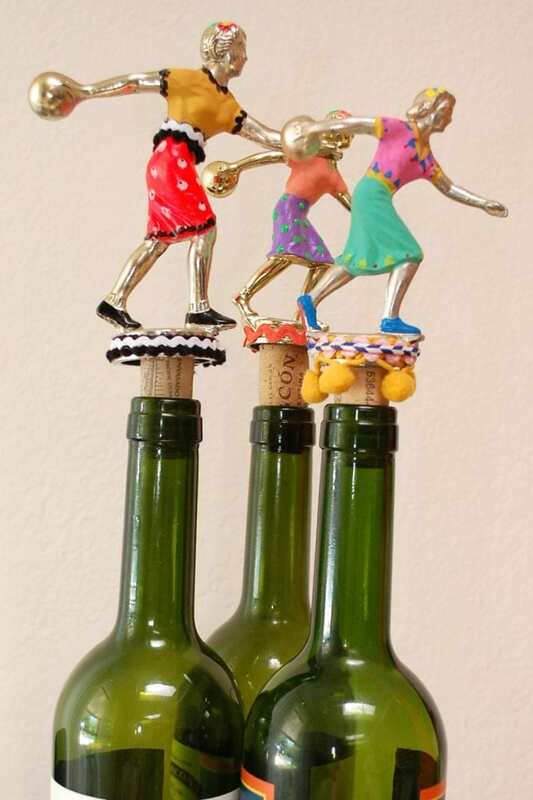 Does the dorm room still need some bookends? Might I suggest making your own glitter endowed pair. 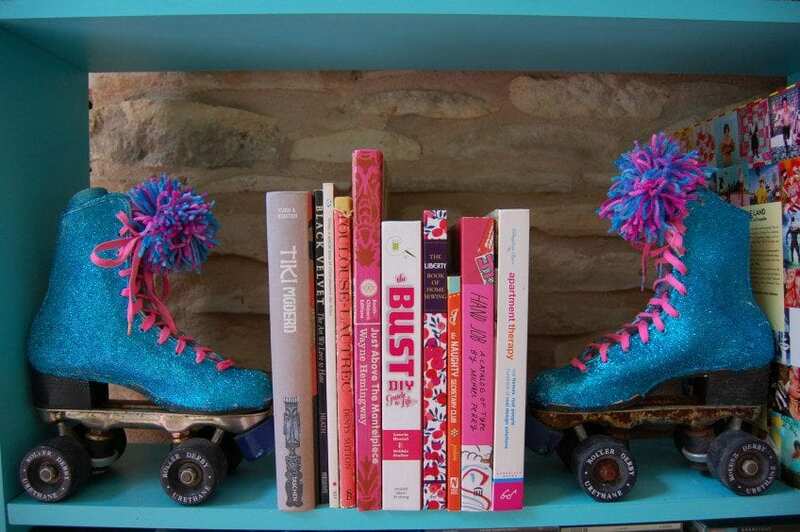 Vintage Roller Skate Book End DIY (sponsored) I still have these on a shelf in my game room. 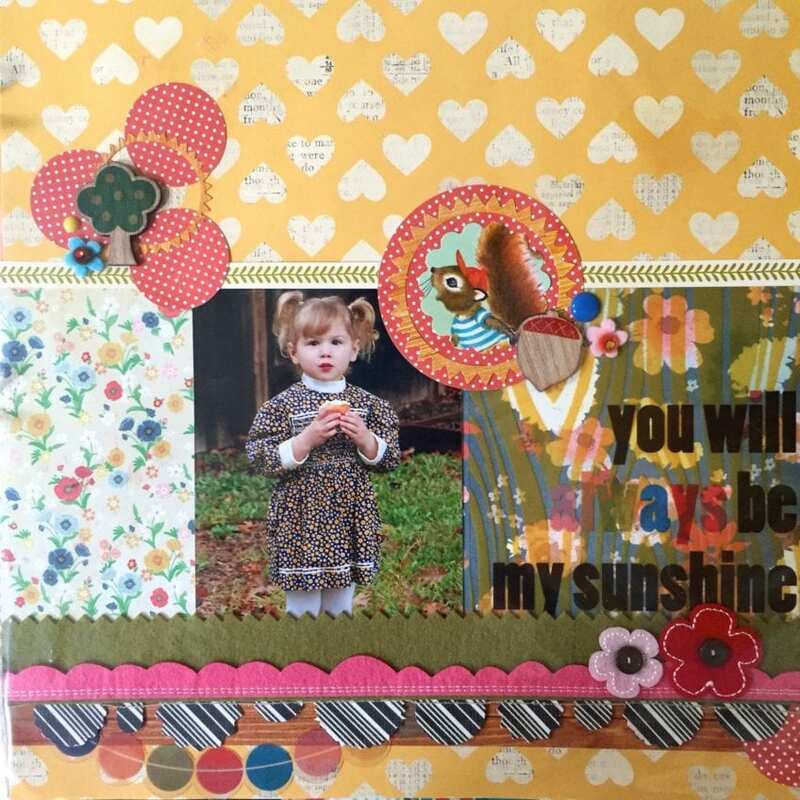 Now that school is back in session it is a great time to catch up on your scrapbooking. Perhaps even make your own Junk Journal. Sometimes the perfect book cover can be hard to find. I get it, people will judge you by your books cover. 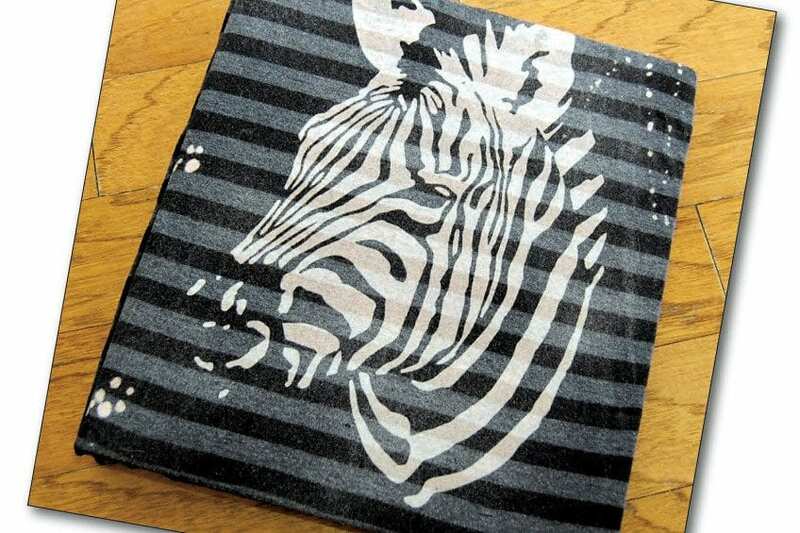 Make your own Book Cover from a T-Shirt. 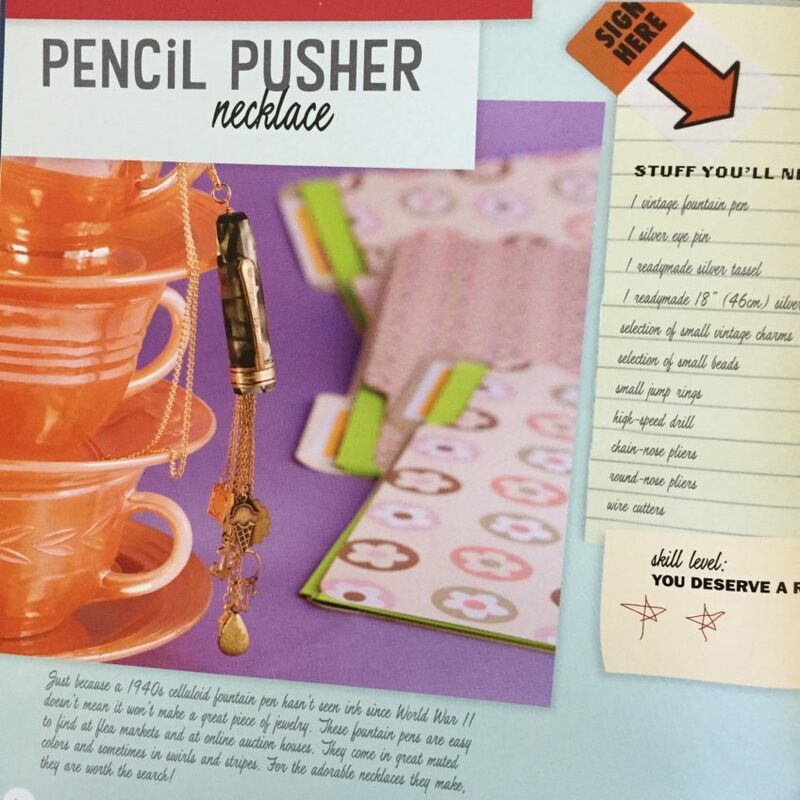 Do you have a copy of my book The Naughty Secretary Club: The Working Girls Guide to Handmade Jewelry? I forgive you if you don’t, but it would be a lot cooler if you did. You could learn how to make jewelry from school and office supplies like pens, pencils and paperclips. Customize some crayon kicks for the kids with these DIY Back to School Shoe ideas. Last, but far from least, mom and dad you got through that first day of school. It was as rough on you as it was the kids. If anyone deserves a drink it’s you. That glass should probably also come from a bottle topped with a Bowling Trophy Wine Bottle Topper. Hope your back to school season is going great! Love to know how you celebrate. Posted August 25, 2016 & filed under Crafts, Home Décor Crafts, Kids Crafts.